Setting off from Leh after 2-3 days of well acclimatizing. We drive to Lamayuru en route visiting Likir and Alchi Gompa. Crossing small pass near Lamayuru you enter in jaw-dropping Shilla gorge and after crossing of Yogma la to Kanji village. Along the stream to the base and further crossing of Kanji la 5342m, one of highest pass in this trek after Phirtse la 5450m, we descent to Sumdo and long ascent to Pikdong la to the remote village of Shade. From Shade you follow the Oma Chu to base of Hanuma la to large plains of Zanskar at Padum, here you will have the opportunity to visit a number of sights. 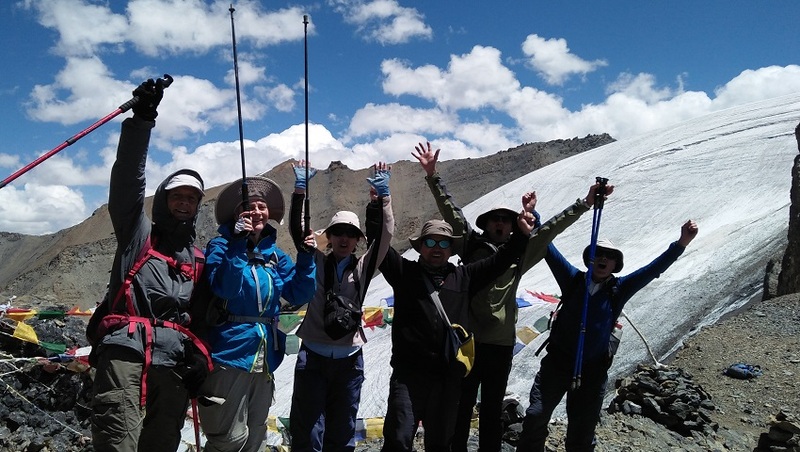 Along the Tsarap River to one of most spectacular sight of our trek to Phuktal and finally exploring the high villages of Southern Zanskar we climb to our last pass to vast plains of Sarchu. Where our trek ends. Instead of going back to Leh, you will drive on Leh - Manali highway to the hill resort town of Manali. A couple of days to relax at this hill station before making a final departure to Delhi. Day 30: Fly Leh - Delhi and onward flight back to home. Welcome to Leh, after your long flight from your hometown to Delhi and meet with us at Leh airport. Our representative will greet you at Leh airport. Prem will meet you at your hotel. Most of flight arrives Leh by morning time and the rest of the day is free to relax and acclimatize to the altitude of 3500m as well as visit Leh bazar. This is an easy day for sightseeing in around Leh. Visit the Royal Palace of Leh from the 16th century, continue through the fields of Sankar monastery , which is adjoins the north Leh. Continue to the Shanti Stupa and finally ends your day with visit of Spituk gompa. Our driver will pick you up from hotel at 8:30am after breakfast. Finish your day before the lunch and you will have time to go for lunch at Leh market. you will visit first Shey palace, than Thiksey. Thiksey monastery, which is 27 km from Hemis. This monastery is the oldest monastery of Gelugpa School in Ladakh. The great Lama Paldan Shesrap built it in 14th century. Here you can see the big statue of the Future Buddha. Continue to Taktok and Chemdey and return back to visit Hemis monastery which is 45 km far from Leh and it takes 90 minute drive. The great Mahasiddha Staktsang Raspa along with great ancestor Singey Namgyal builds this biggest monastery in 16th century. Continue to Matho than we drive to Stok which is situated opposite of Leh at a distance of 14 kms, At Stok visit of Royal Palace built during 1825 AD and palace has great collections of antiquity. Continue to visit Matho situated 10 kms from Stok, which has 10th century complex. Finally back to Leh and final preparation for trek. Today is the first day of trekking! Leaving Lamayuru and crossing a small pass of Prinkiti La, the trail descend above Shilla in an orchard, this is the place where we meet our horseman and rest of crew. The camp is set aside of Shilla stream. Enjoy your time in camp and explore the area. The small pass of Prinkiti La is not suitable for horses to cross and trekking gears will driven from Lamayuru to Shilla where road ends. It's an hour to camp from this point. The actual trekking begins today, prepare your sandals as we have to cross the stream numerous times today in gorge. Early start from camp is recommended as the stream starts to rage in the afternoon. You will have an ultimate experience trekking through this gorge. After hours of walking and negotiating with stream, you come out to open valley, its short climb to the Shillakong campsite. Soon after camp ascent to Yogma la, a delightful reward presenting colourful mountains. The other trekking route goes to Photoksar via Snigutse la. We descent slowly to doksa and meet with locals here who live during summer time. Continue along the stream for hours to reach picturesque village of Kanji. After exploring the village our camp is set an hour above this village at Kuthak cha, where Yaks and Dzo can be found grazing in the area. Today short trekking to the base, Leaving camp for few hours to large open valley floor and we take the extreme right hand valley and enter in a large gorge that will take us to the base. Leaving camp today we climb on tricky loose rock moraine on a small glacier to the pass. On a clear sky one can have a clear view of Nanga Parbat to the west and K2 to the North. To view this you might need a good binocular. After lunch at top we continue down through wonderful canyon to the junction and here we will have first view of Nun and Kun which remains in sight for an hour. The view across are spectacular and better appearance of peak rising in Great Himalayan Range. Some of known and famous peaks are Hagshu, Doda and Brahma. A very small campsite but present a spectacular view. An early start today and long day ahead for us. Leaving camp we cross stream close to camp and climb a Pikdong La, before pass through a narrow gorge at some points. Steep descent after pass to Dibling Doksa, a wonderful & comfortable camp for tonight. Today is short walk to the village of Dibling. After crossing stream trek on a large open valley. A ford short before Dibling and along the canal to village of Dibiling. Todays camp is set amidst village. We reach Dibling by lunch time. 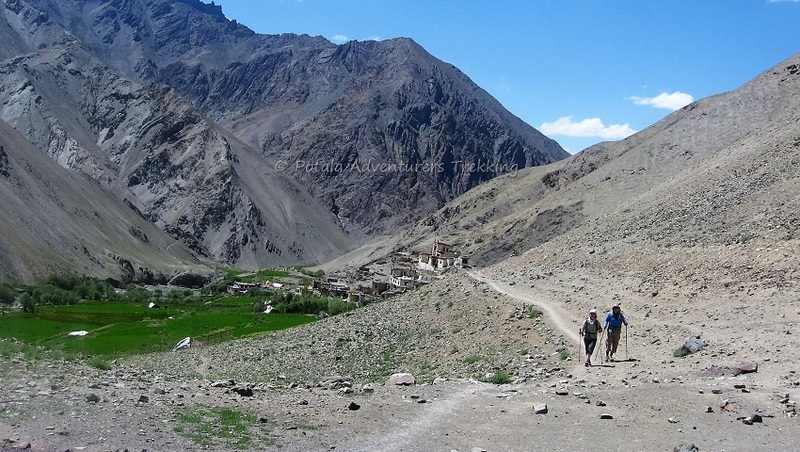 Rest of the day explore the village and meet inhabitants, living in this remote part of Ladakh. You will have time to wash clothes or take a bath. We follow Oma Chu River (Oma - Milk, Chu - water) and numbers of time main River and side streams to be cross. At some stretches its tricky to find way. Keeping our pace on the valley floor continue to Lingshed Sumdo. Leaving camp we take narrow gorge coming from the left and long climb to the small pass of Barmi La. Today an easy climb to the pass. The first view of Lingshed apprear to sight. The trail to the left goes to Lingshed village. We descend to Lanang also known as the base of Hanuma La. Soon after camp long ascents towards Hunuma la pass 4800m. From top of pass panoramic view of Lingshed, Sengge la and Ladakh Mountain range. This pass is connecting point between Ladakh and Zanskar, than descent deep inside hanging valley until Snertse. After Snertse long descent towards Oma tokpo where we camp for tonight. Crossing the oma tokpo long ascent towards Perfi la 3950m. It’s the last pass between our first part of trek Kanji - Padum. From top we will be rewarded with great view of Zanskar Mountains and could visible the Hanumil from pass. Last patch we trek along the Zanskar River to village of Hanumil and a another comfortable campsite for tonight. Today after breakfast we follow the left bank of Zanskar River on relatively level path. We cross the village of Pidmo 3420m. Small village located beside Zanskar River. At Pidmo bridge is in under construction to Zangla, instead of taking this route we continue along the right bank to Pishu. Another comfortable campsite beside Zanskar River. Today an early departure from Padum, we drive to Bardan along the Tsarap tchu and enter in Lungnak valley. The drive is on dusty trail usually a foundation of road to Darcha over Shingo la pass. 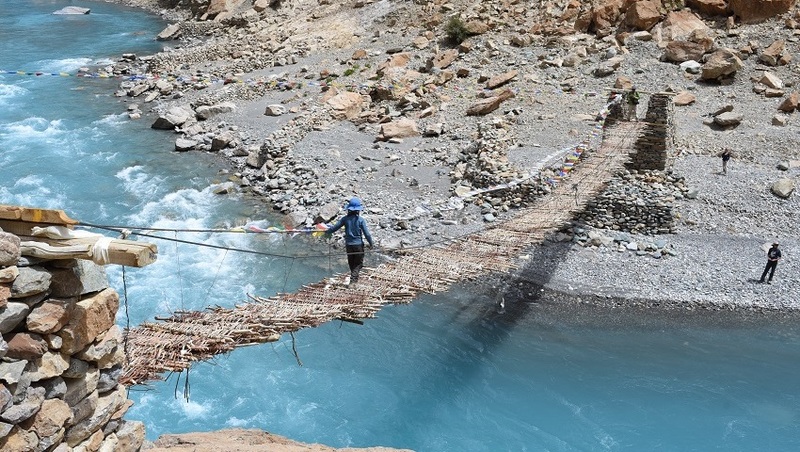 Today leaving Tsethang we cross the cable bridge near Anmo village and follow the trail to Cha village. 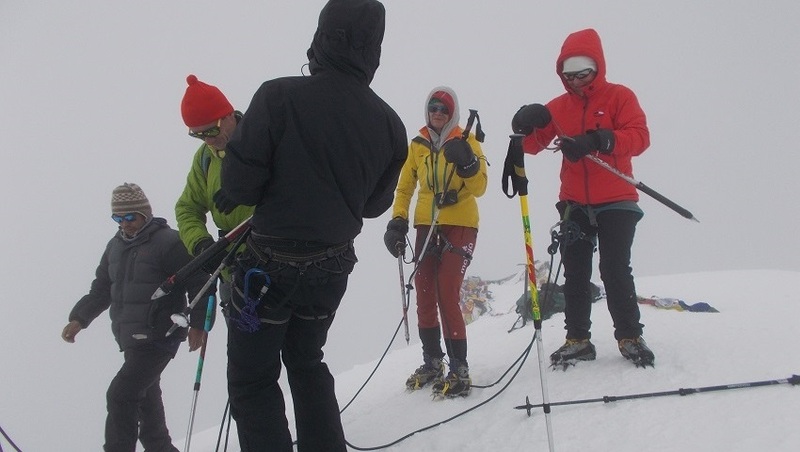 and continue climb to the ridge, from where we can have spectacular view of Tsarap River valley and Purne at far South. Trail descend to Tsarap River and we follow the right bank of this River to Phuktal gompa, one of most stunning sight of Zanskar. Main temple built inside huge cave and rest of monastery houses built on rock cliff. The monastery was founded by Changsems Sherab Zangpo. Finally we cross the river by temprorary bridge and trail goes along the left bank of river to Purney. It will take 2:30 hrs to reach Purney from Phuktal. We climb gently to Yal village and continue along the right side of the valley. We pass through beautiful and charming villages of Testa 3900m and Karu. We cross the river just before Tangtse village. Continue to trek along the right bank of Kargiak River to Tangze. Today leaving Tangze trek to beautiful village of Kyi and Thangso and continue upto last village of Shanka. This area is most remotest part of Zanskar and meet happy people. 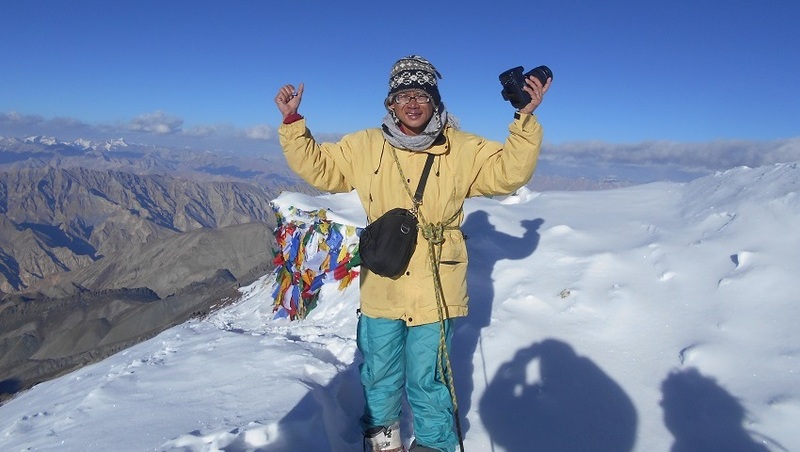 After visiting Shanka we trek back to Tangze following the left bank of Kurgiakh river chu. Overnight camp at Tangze. Short after camp we take a left path which leads to Phirtse la pass. The path leads away from the river, gradually up through a gorge and later the slope. A spectacular view of Zanskar valley can be have from a small pass. Crossing the stream we climb gently along the nallah to base camp. Overnight camp at Zingchen. Today leaving early to avoid the snow turning softens the Phirtse la is advised. After an hour of gradual walking along the small stream we climb steep to Phirtse la pass with patches of ice. Magnificent view of peaks rising above 6000m to the right and the view goes as far a upto Rupshu. After taking a break of 30 minutes we descend gradually along the slopes with patches of snow to Chumik Marpo camp. Wonderful camp site and at Chumik Marpo where you will find numbers of doksas with numbers of Yaks. Overnight camp at Chumik Marpo. Today an early start to cross 2 rivers. Leaving campsite along the left bank of River. After 2 hrs of walking we cross the river and cross-grassy flat land to broad river of Khamerup. The river coming from right we cross it before noon. Continue on wide open space and flat grass land to our campsite close to River called Berga Songchak. There are numbers of camp site along this Lingti chu valley. Overnight camp at Berga Songchak. Today again a long day of trekking is waiting for us and the last river crossing. Soon after breakfast we continue on wide open space in high altitude grassland. 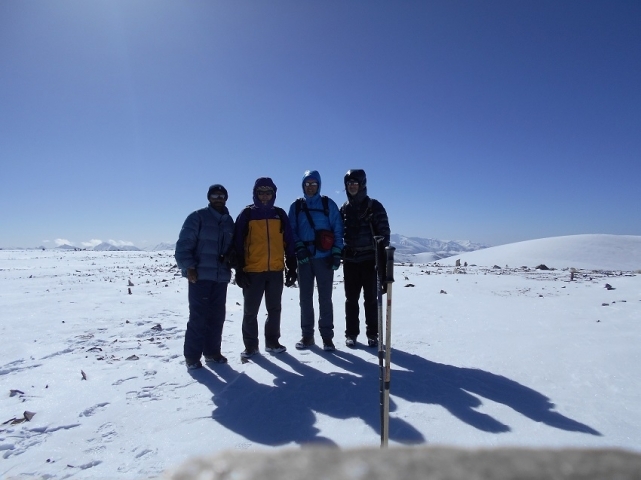 After 2 hrs of trail will bring you to a small pass from where the wide open view of Sarchu and Yunam River valley. A short before camp we cross the Yunam River. Our vehicle will arrive at Sarchu this day. We drive to Baralacha la pass, which is 7 km long gives the source of three rivers - Chandra through South, Bhaga through upper Lahoul and Yunam towards Zanskar. A splendid view of M-4 (6514m), which is the highest in the Moulkila range, can be seen from the trail as well as of Keorang range of Great Himalayas. Passing through wonderful valleys of Tod, Gahr and Tinan the road climbs to Rohtang la pass. It takes 2 hrs to reach Manali. Overnight in hotel. Day 26 Manali - New Delhi. Day 27 Flight back to home.